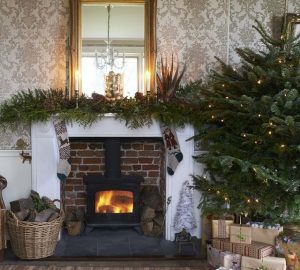 Decorations are such an important part of UK’s homes during the run up to Christmas, so it’s no surprise we often have strong opinions and preferences regarding how this should be achieved. 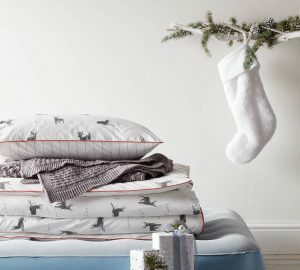 The top results of a survey I read recently by Baytree Interiors regarding the UK’s preferred Christmas decorations didn’t particularly surprise me, as the number one most popular item voted for were Christmas lights – definitely deserving of the number one spot! 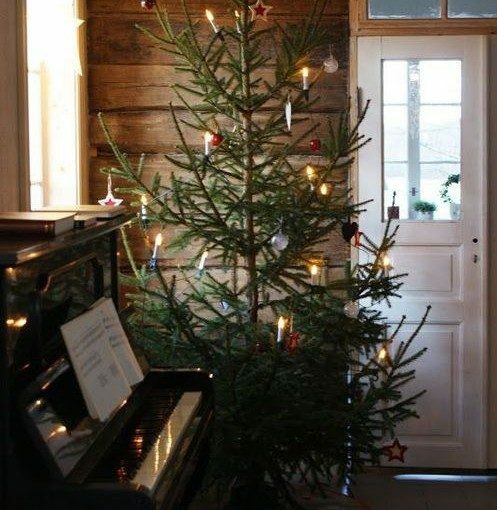 Though I was surprised by the Christmas tree results, as I would of thought real Christmas trees were the most popular within the Christmas tree category, but that turns out not to be the case. When you drive down any street you can see how popular they are from the outside of homes as well as in the interiors. 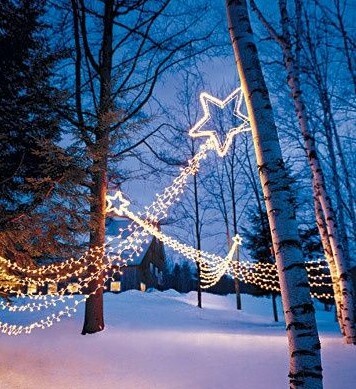 Even homes that have minimal decorations often opt for lighting as it gives such a magical Christmas glow. 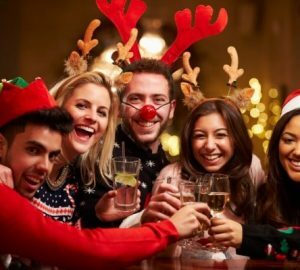 Christmas lights originated from the use of candles placed upon the Christmas tree itself during the 18th century and progressed to electric lighting placed within the tree. 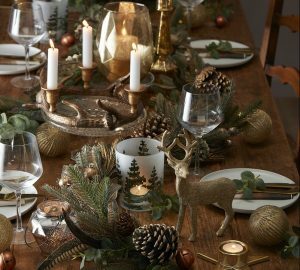 There is a great article here regarding the history of electric Christmas lights, from Thomas Edison’s Menlo Park lab draped with lights, to Albert Sadacca ‘s NOMA Electric Company set up to produce a safe alternative to candles. 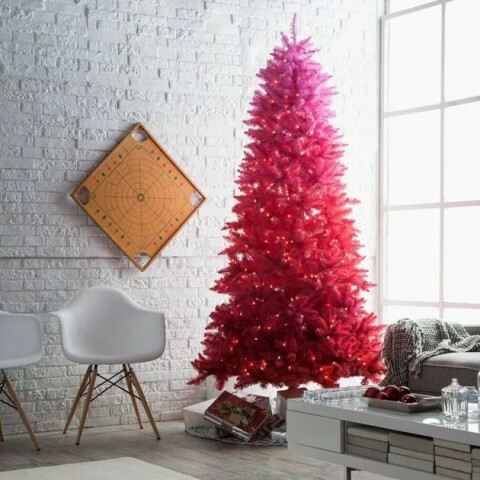 When asked “what type of Christmas tree do you have?” I was surprised that fake/plastic Christmas trees were top of the list. 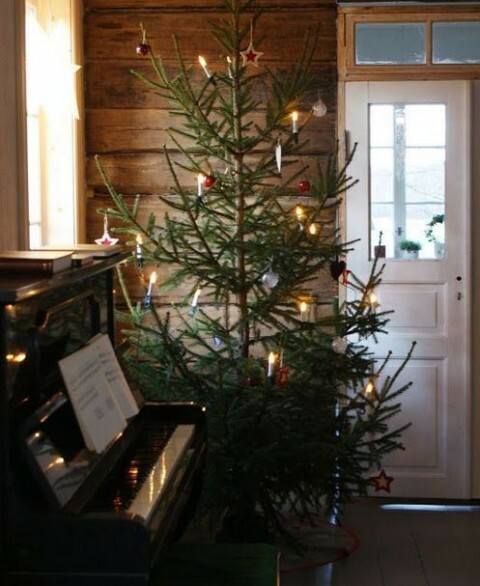 Real Christmas trees were not even second place, they were placed third. In second place at 23% of the votes were people who stated that they did not have a Christmas tree. When reading why it does make a lot of sense, as not everyone has the space and many people are away over the Christmas period. For a number of people there is also the risk that their children or pets may have an accident involving the tree. This is something to seriously consider when choosing a tree and decorations. 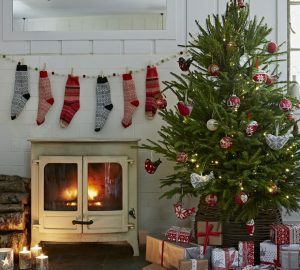 If you do decide to have one and you have small children and pets, place the tree in a room that they cannot gain access to, decorate the tree with large decorations that cannot be choked on, fix the tree securely in place so that it doesn’t fall over, and don’t place electrical Christmas tree lights onto the tree, as these can all help reduce the risks. 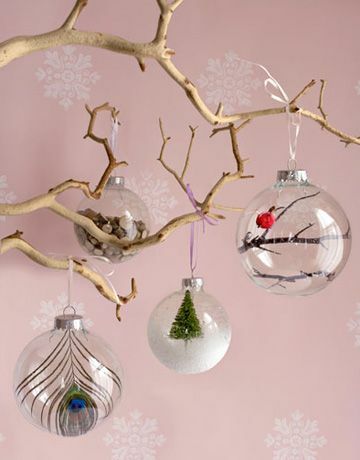 Christmas baubles are a great accessory and as you can see from the picture above they don’t have to be placed just on a Christmas tree. 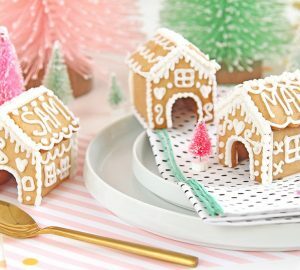 They can also have sentimental value, from homemade baubles your children have made to decorating the tree with a baubles from each country you’ve visited. I particularly like these homemade Star Wars baubles, as they are so much fun! 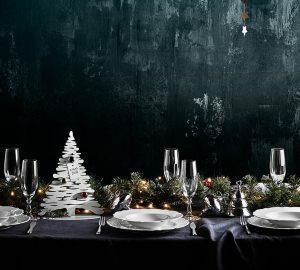 In Germany in the 1600’s tinsel was originally made of real silver and used to create an ice effect, but due to the discolouring of silver it was eventually replaced with an artificial version. 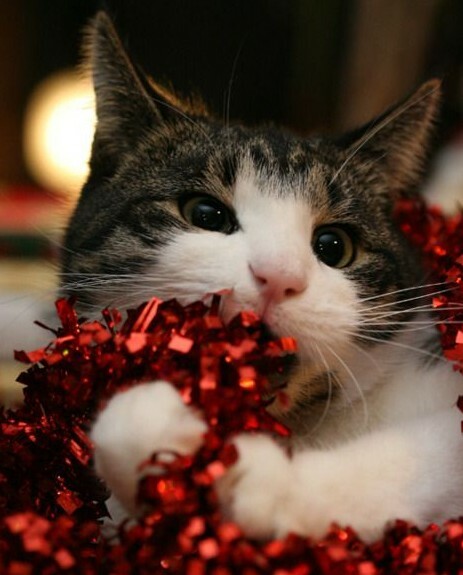 The image of the cat above is particularly adorable, but in the UK as we see our pets as part of the family they more often than not share in our festivities over the Christmas period, so please remember that as with small children make sure your pets cannot ingest any small decorations or eat the Christmas tinsel or treats – chocolate and Christmas pudding are particularly toxic for your pet. 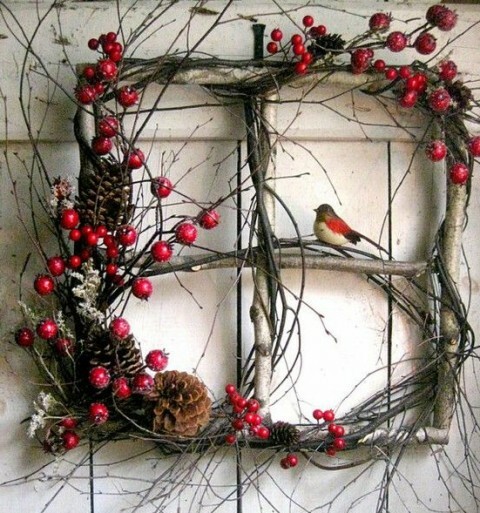 Hung on the door or a window, the wreath has been viewed as an invitation to the spirit of Christmas to enter the home and bring luck, suggesting as well that the Christmas spirit dwells within. 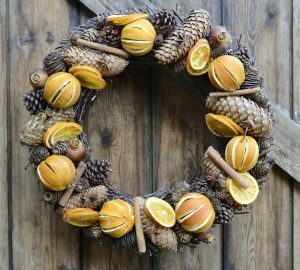 If you are superstitious you may feel you should remove your decorations by the twelfth day of Christmas, but there are many theories surrounding the twelve days of Christmas, and it seems more routed in the conflict between pagan and Christian celebrations, than bad luck. The pagans were aloud to keep there winter celebrations up until the 12th day of Christmas when the Christians would then celebrate Epiphany (the showing of Christ to the world). Home Renovation Ideas That Are Too Good To Ignore!